Guilt-free chocolate tastes better in more ways than one. Here's one way to feel less guilty: By knowing for sure that the chocolate you're savoring isn't the result of real-live modern-day slave labor -- that is, ten-year-olds sold to plantation bosses, then beaten and nearly starved while picking cacao in twelve-hour shifts -- but rather comes from independent farmers who are doing their best to build better communities. On Valentine's Day or any day, we could always use a few more reasons to justify craving, buying, giving and eating chocolate. And yes, the medical research has been pouring in to reveal dark chocolate's beneficial effects on the brain and body: It contains the mild mood elevator phenylethylamine (PEA), found in high concentrations in happy people; carbohydrates that raise serotonin levels; flavonoids that might keep blood vessels elastic; antioxidants to undo the damage done by free radicals. Recent studies, such as one completed last year by Swiss researchers and published in the Journal of Proteome Research, suggest that eating chocolate reduces the levels of stress hormones. But science notwithstanding, chocolate can tweak our emotions in entirely different ways. For example ... would you still want chocolate if you knew that, to this day, even as we speak, Ivory Coast cacao plantations use slave labor ... including child slave labor? Human-rights organizations such as UNICEF and activist groups such as New Zealand's Sweet Justice have been charting this grim situation for decades, yet it persists. Many mainstream chocolate companies buy African cacao, often through distributors -- which makes its provenance difficult to track. Wouldn't it feel better to know that you were choosing not only high-antioxidant, high-flavonoid, serotonin-friendly chocolate but also slavery-free chocolate? And to go one step further, what if that chocolate was guaranteed to come from organic cacao grown by farmers who, after years of desperate poverty, are now guaranteed a steady income along with healthcare and education for their kids? That's what happens when farmers join the Fair Trade network and become Fair Trade certified: They receive economic stability in the form of a guaranteed minimum floor price for their goods, plus an extra premium for growing organic produce on which harmful agrochemicals and GMOs are strictly prohibited. Taught sustainable farming techniques and eligible for interest-free loans and pre-harvest credit, each farmers' coop decides democratically how to allocate its additional income. While several artisan chocolate companies -- such as San Francisco's Tcho and Hawaii's single-origin Malie Kai -- are proudly slavery-free, UK-based announced last month that by the end of this year its entire chocolate line, which is already all-organic, will go Fair Trade. In the international chocolate industry, this is a first. 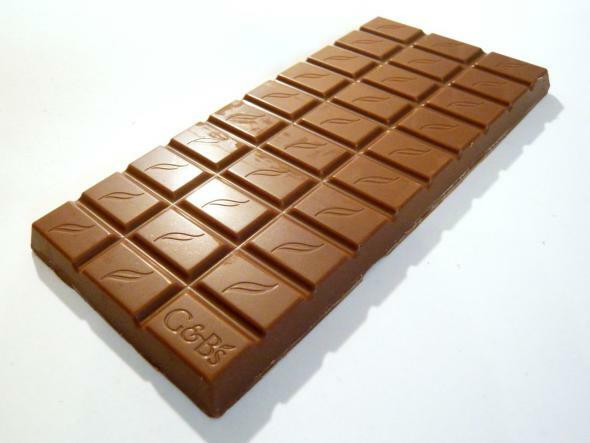 "Most people buying chocolate don't honestly give a lot of thought to where it came from and what's in it," Green & Black's senior brand manager Katie Butler told me this week. Nonetheless, her company does give it a lot of thought. "Altogether, we expect that the farmers in the Dominican Republic from whom we buy our cocoa are going to receive over $6 million in Fair Trade premiums over the next ten years," Butler said. "I can't even tell you how good this feels." Green & Black's buys cacao from the 9,500-member National Confederation of Dominican Cocoa Producers, aka CONACADO, which chooses to use most of its Fair Trade premium dollars on education, according to Stacy Geagan Wagner of TransFairUSA, a nonprofit that is the United States' only third-party certifier of Fair Trade products. "They've used some of it to do repairs on five existing schools and they've built a whole new school. Low-income students receive scholarships and free schoolbooks." With its Fair Trade funds, CONACADO is also establishing a clinic in a remote area whose residents formerly had almost no access to healthcare. "These days, if two chocolate bars are in front of you, you can ask, 'How was this one produced and how was that one produced?'" TrainsFairUSA's Wagner says. "And if you find out that one of them was produced more sustainably and ethically, then you can say, 'Yes, I choose this one because I don't care just about how my chocolate tastes, I also care about people in other countries and I care that my dollar can go further to help them.' It's a 'we-volution.'" Her organization has created its own guilt-free gift guide, featuring Fair Trade-certified flowers, candy, wine, and more. it wouldn't have to feel better to buy slavery free choco is there weren't horrible people like you ruining it for me! mmmmmmmmmmmmmmmm tastes like shackles. the best chocolate i ever had.